Las Vegas lives in the popular imagination more as an adult-oriented theme park than a living, breathing city. However, if you look beyond the strip, you find plenty of ordinary people living ordinary lives, and a growing scene of independent artists making great music. 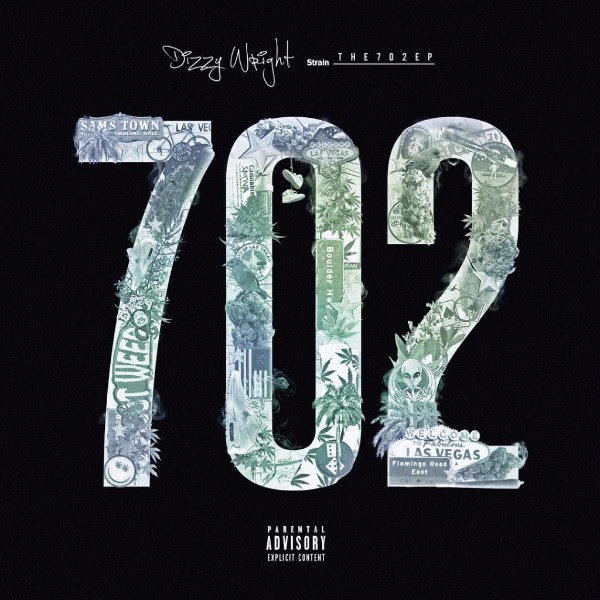 On the 702 EP, Vegas rapper Dizzy Wright showcases his side of the city, shining a light on merely one ingredient of the musical melting pot in the desert. “Not many people know this,” explains Dizzy Wright, “but Vegas has a diverse sound. I’m from the East Side and this EP reflects the sound from that scene.” Although Dizzy is the biggest rap name to come out of Sin City, his intent is not to be the spokesperson for the rap scene but to showcase the diverse scene and sounds. The nephew of Bone Thugs-N-Harmony’s Layzie Bone, Dizzy Wright began rapping at just 8 years old. Dizzy Wright released SmokeOut Conversations in April 2012, peaking at #2 on the iTunes Hip-Hop charts. He followed it up with a free mixtape, Free SmokeOut Conversations, which propelled Dizzy Wright to his own national 30-city tour. As the “People’s Choice” member of the XXL Freshman Class of 2013, Dizzy Wright also released his The Golden Age mixtape followed by multiple projects which received wide acclaim, including 2015’s The Growing Process which landed him HotNewHipHop’s digital cover story. Earlier in 2016, Dizzy Wright released the Wisdom and Good Vibes EP, featuring singles such as “Work a Lil Harder”and “Plotting.” This year, Dizzy also opened for Logic on his sold out The Incredible World Tour.